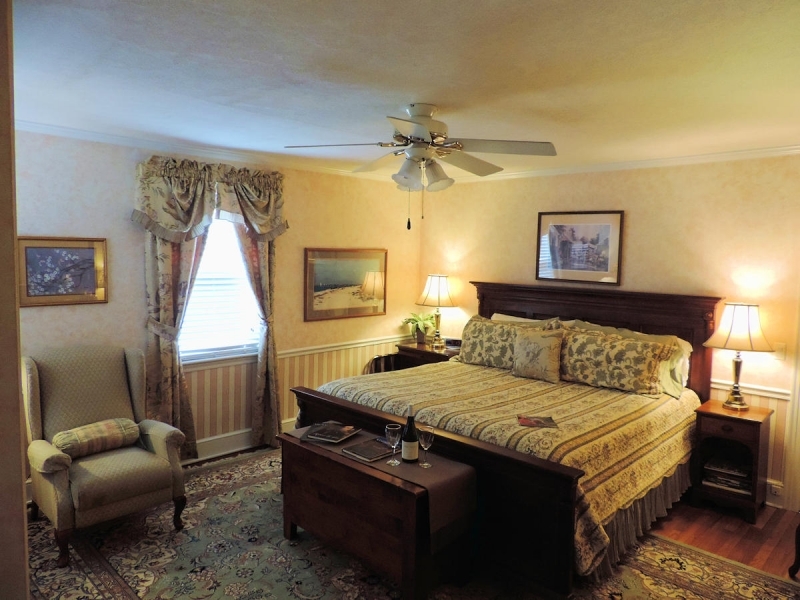 A B&B AT LLEWELLYN LODGE, Lexington, United States | 603 S. Main St. Welcome To Our Reservation Request Page. 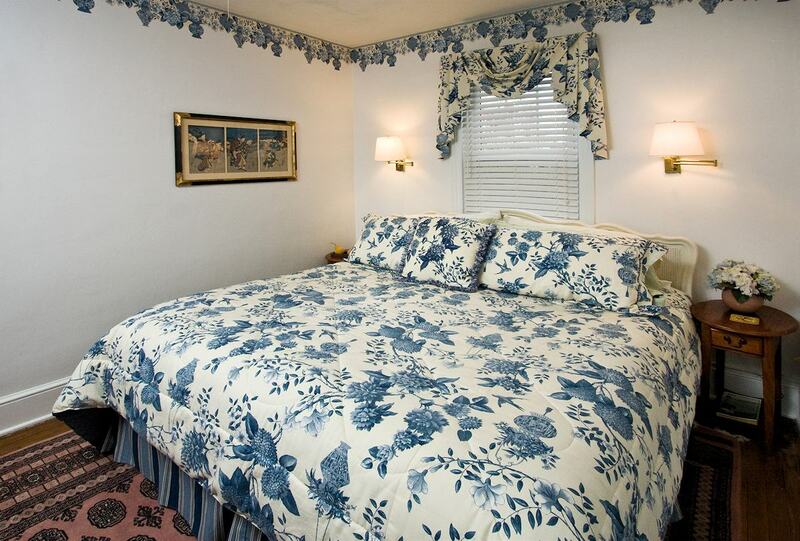 This page allows you to Search and Book rooms by dates and availability. Upon receiving your booking request we will review it and then either confirm your booking or contact you to provide you with additional details about the booking dates based on our Special Events & Cancellation Policy. 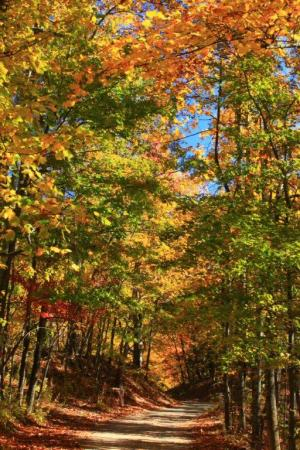 If you have any question contact us at: (800) 882-1145 or (540) 463-3235. DO YOU HAVE AN ACCOUNT? If yes please click here to login or register a new account. This comfortable Pine Shaker Pencil Post Queen Bed with private tub/shower bath and our signature Kingsdown bedding is guaranteed to give you a great night's rest. Reading chair and coffee maker. All rates include Ellen's award winning breakfast from a menu served between 7:00am to 9:30 am. Non-smoking. 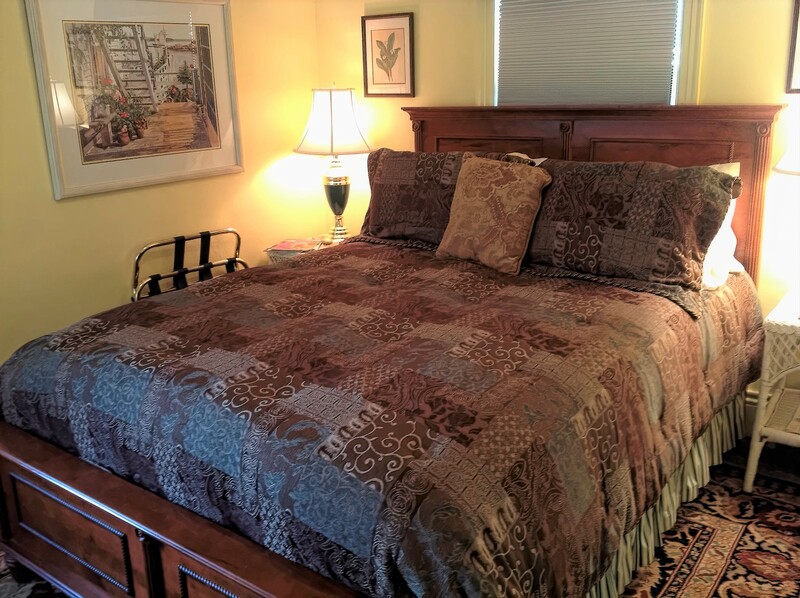 This smaller , cozy Queen room with its most comfortable Maple Queen bed is great fit for those traveling light and on a budget. Ivy & Wicker motif. Free Wi-Fi. The bath is private with a stall shower. Full Blue Ribbon breakfast from a menu is included.Non-smoking. This cozy Queen room with private private shower stall bath Cherry Bed with renowned Kingsdown bedding will insure you give a comfortable nights’ rest after a day of exploring. 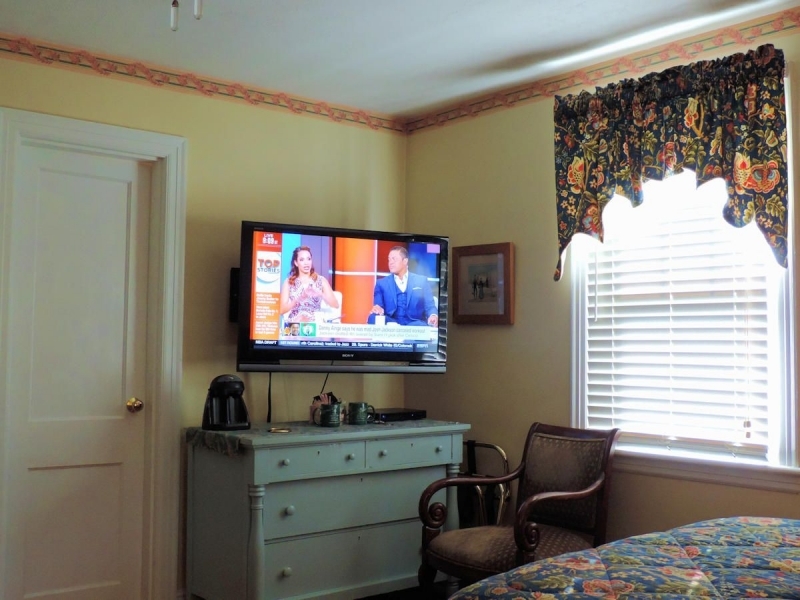 There are 2 reading chairs in the room along with a large HD TV, free Wi-Fi, coffee maker- . 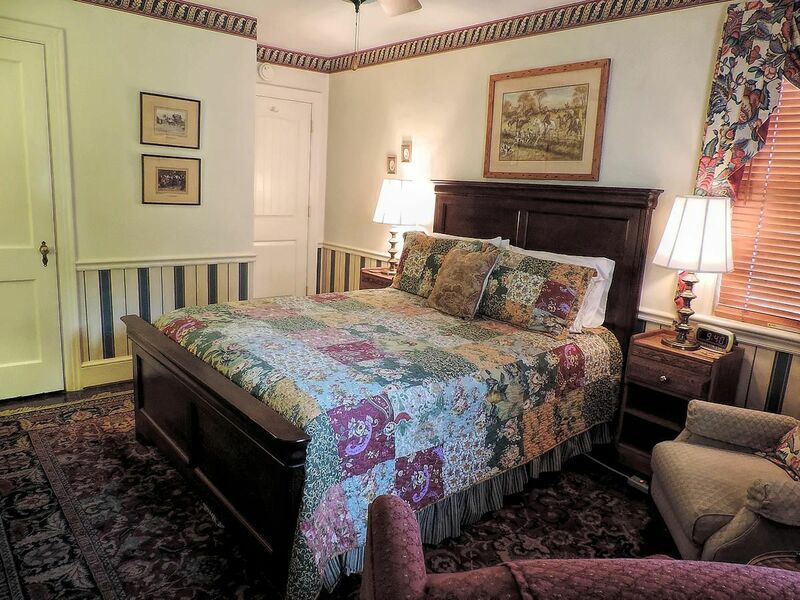 All rates include our Blue Ribbon breakfasts from a menu served between 7 am to 9:30 pm Non-smoking..
A guest favorite for over 34 years our largest Cherry King bed is extremely comfortable as you unwind from a day of exploring one of America's best small towns. 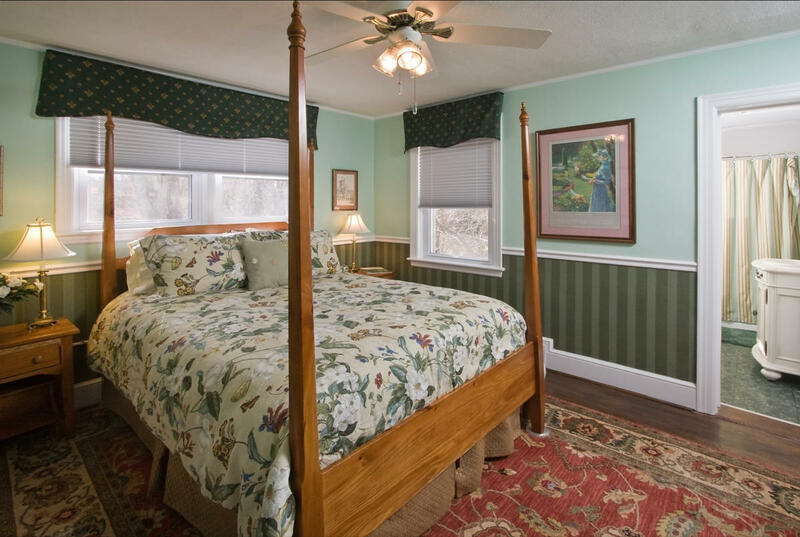 Private tub/shower bath 2 reading chairs, large HD TV, Keurig coffee maker, stocked fridge, free Wi-Fi .Rates include Ellen's award winning breakfast from a menu, have breakfast your way. 7a.m to 9:30 a.m. Maximum occupancy 3 with rollaway. Non-smoking. 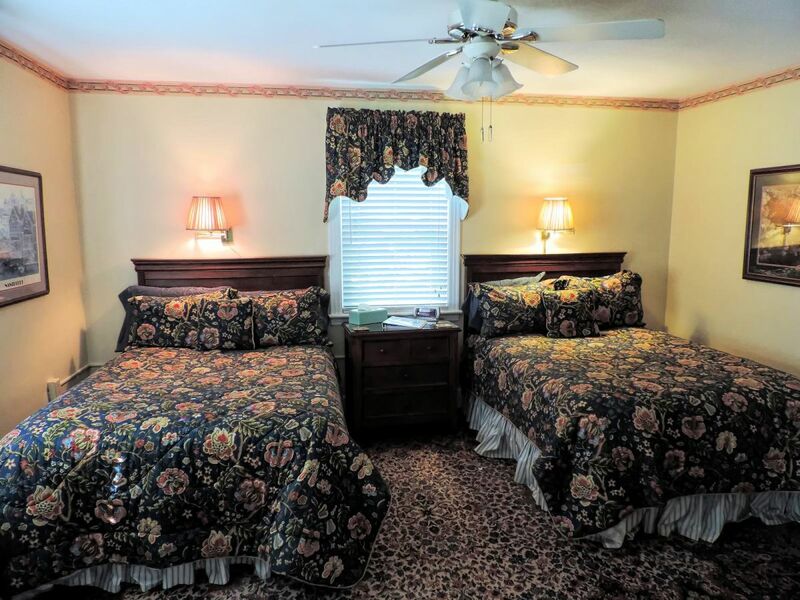 Room 5 with 2 Double Cherry beds with has been a favorite for families visiting Lexington, Washington and Lee University and VMI for over 34 years. It has our super comfortable signature Kingsdown bedding as found in many of the 5 star lodgings. Large HD TV, free Wi-Fi with 2 reading chairs. Private bath with stall shower. Can accomodate 4 people. $25 pp.All rates include our signature Blue Ribbon breakfasts from a menu. served your way 7:00 am to 9:30pm. Maximum occupancy 4 $25 per x person Non-smoking. 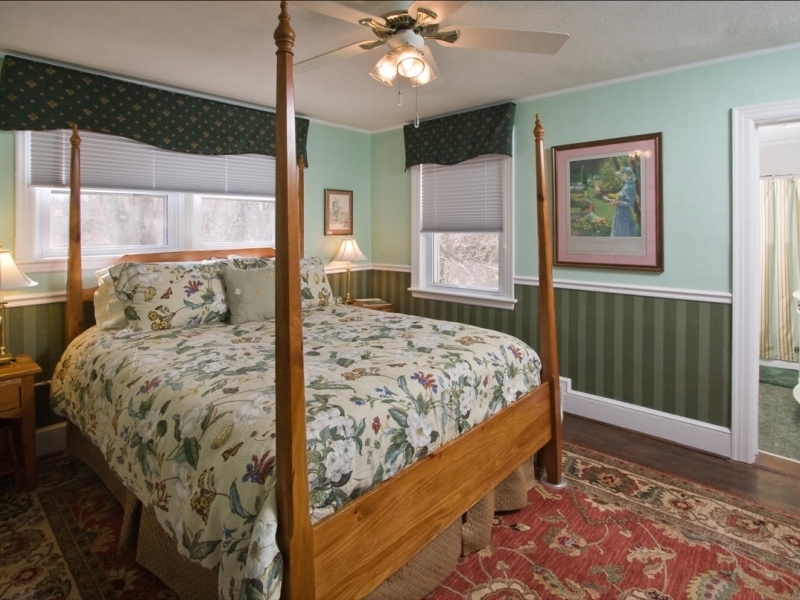 First floor room with King with large private tub/shoer bath private and our most comfortable Kingsdown bedding. Especially good for those not wanting to climb stairs. Large HD TV, free Wi-Fi. coffee maker, reading chair. 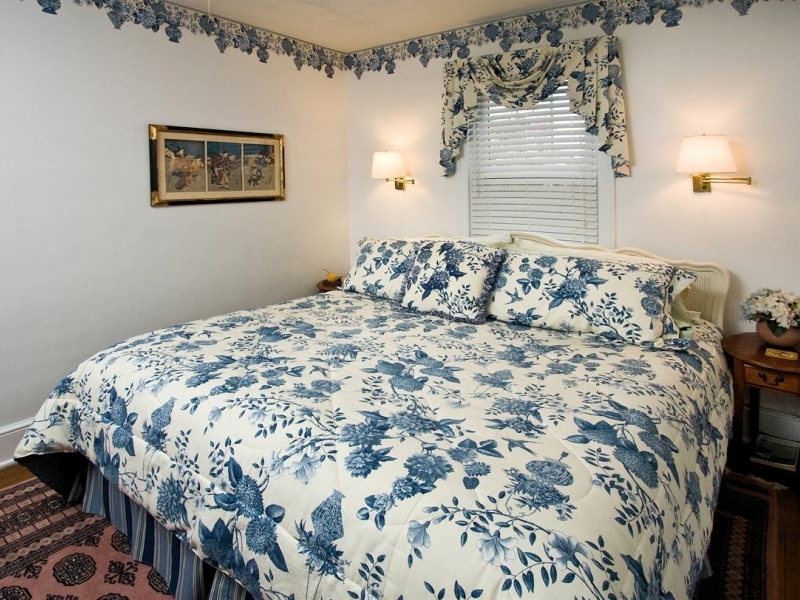 Rates include our Blue Ribbon breakfasts served 7:00 am to 9:30 am. Maximum occupancy 2. Non-smoking. 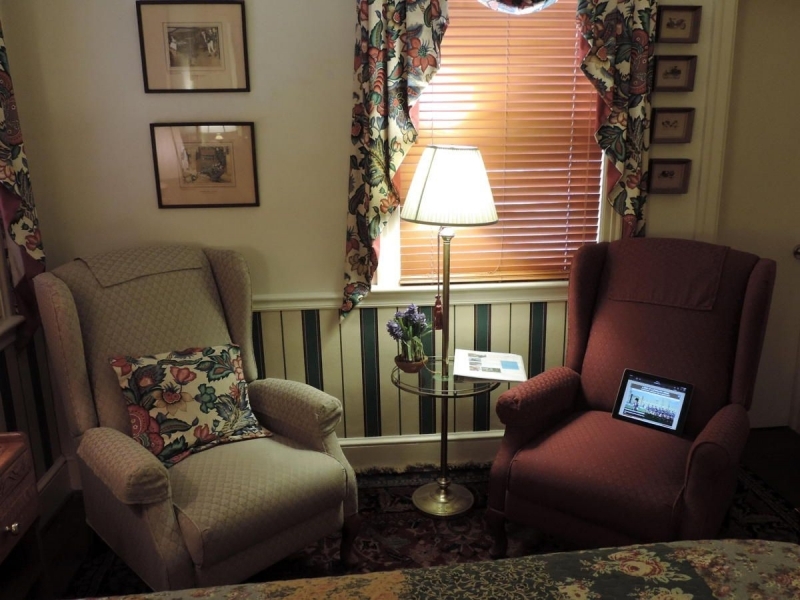 Free WiFi available throughout the inn. Guest computer set up in the sitting room. 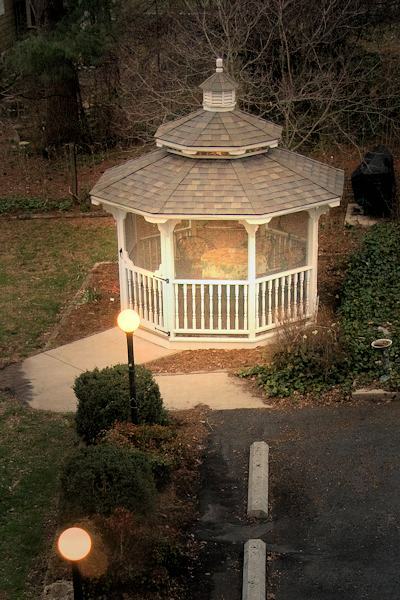 Plenty of Off-Street Parking on the Inn property. We require a deposit by credit card, check or cash to reserve our rooms. Telephone if you need to cancel. Contact us at: 800-882-1145 or 540-463-3235. Well-behaved children 10 years and above are most welcome. No extra beds available. No Pets at the Inn. We can help make reservations for your pet at a local Vetrenarian kennel.